Adrien Broner is set to take on undefeated Mike Garcia in a non-title fight this Saturday, 29th July 2017 at the Barclays Center in Brooklyn, New York. The fight will headline the premier boxing championship card and will be televised live on Showtime sports regular channels (non-PPV). There are couple of decent looking fights on the undercard with Jermall Charlo fighting in the middleweight division for the first time against Jorge Sebastian Heiland while Gerald Washington is set to take on Jarrell Miller on the undercard. 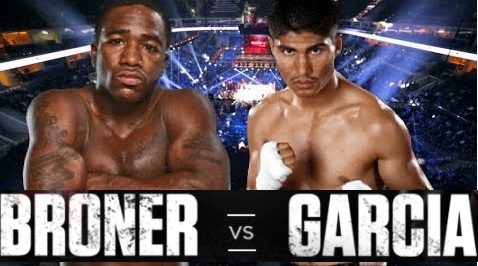 Adrien Broner vs Mike Garcia TV Coverage Details: Broner vs Garcia will be broadcasted live on Showtime regular channels in the USA and all showtime subscribers can watch the fight live without any additional cost as it will be a non-ppv event. In the United States SkySports is likely to broadcast the fight live while we will have more information about other international channels showing this fight card. COVERAGE STARTS as part of “Premier Boxing Champions” this fight card will be broadcasted by Showtime regualer channels in the USA. SkySports to broadcast the fight live in the UK. Mike Garcia was once regarded as future pound for pound king but his troubles with Top Rank forced him out for 2 years from 2014 to 2016. However still undefeated and fighting probably first high profile name, this is Garcia’s chance to get back on track in terms of his career. Adrien Broner is fast becoming a journeyman and unlike Garcia, Broner have had his chances but he pretty blew them all when it really mattered. He is no longer considered as a prodigy but still have enough talent and unpredictability in him to make a fight against anyone. This fight is important for both fighters for different reason and although there is no title involved the winner of this fight can looking for better and bigger things early next year.